For the longest time my blush collection consisted of about three blushes simply because I rarely wore blush due to lack of time in the morning. My collection has since grown but it is still modest and most of the shades are really similar. 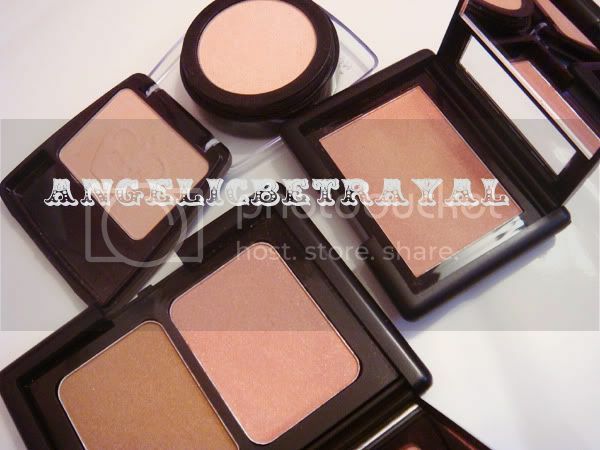 These four are light to medium peach-y pink shades which are inexpensive and suitable for everyday use. 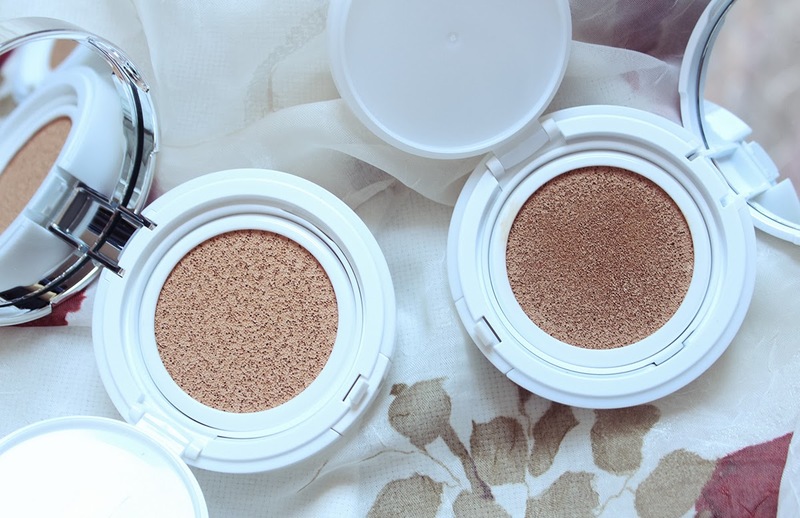 The E.L.F blushes are $3 each and even cheaper if you can snag them during a promotion. The Rimmel blush is available at your local drugstore for about $6 and I grabbed mine during a sale and used a coupon. 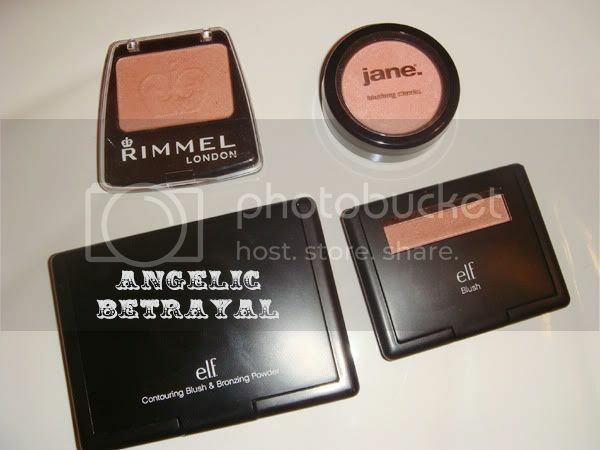 Jane is a discontinued drugstore brand but you might find some at your local Rite Aid or Walgreens. Jane blushes cost around $4. 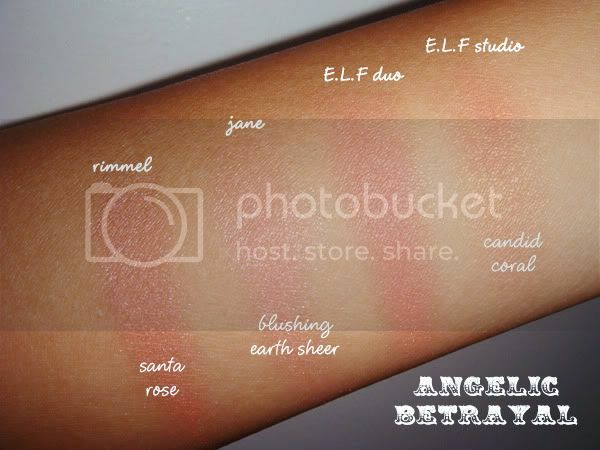 The above swatch was taken without flash and the shades are labeled at the bottom of the picture. 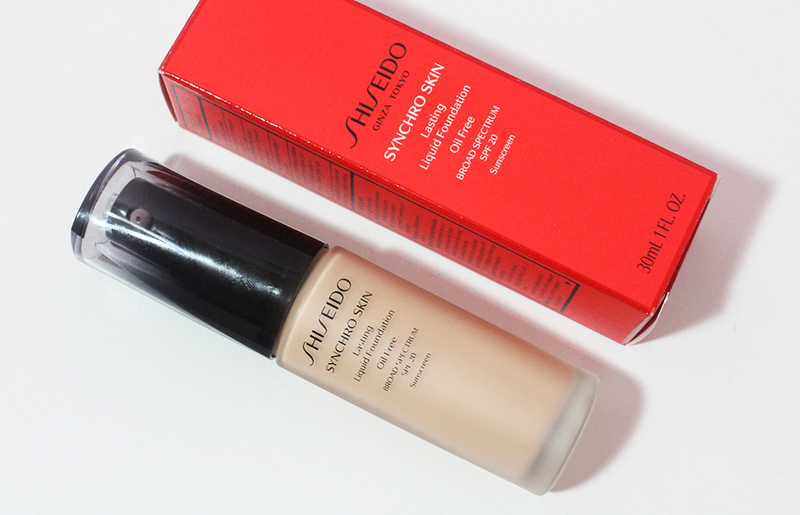 There is currently only one color available for the E.L.F blusher and bronzer duo. 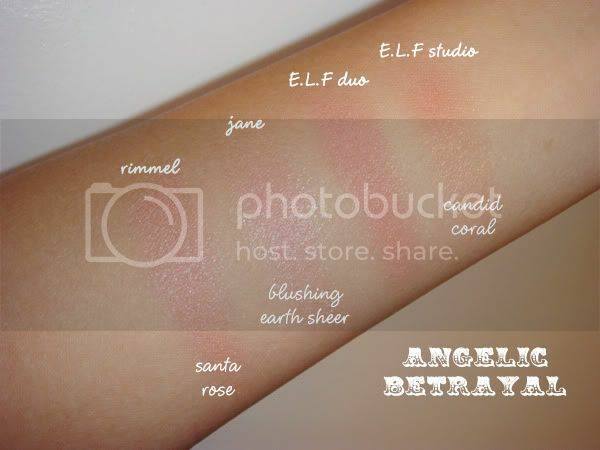 Although the colors look quite similar in the pan, they are noticeably different when swatched.